Rail bolts mainly includes fish bolts for track jointing and other bolts such as T-bolts, clamp bolts or inserted bolts to fasten sleepers and other parts. As professional tract bolt manufacturers, AGICO committed to manufacture and supply verity of track bolts. If you want to buy fish bolt made in China, choose us is your best choice. AGICO is committed to creating quality and reliable high-quality bolts, material fastidious, according to different uses of track bolts to choose different hardness steel. 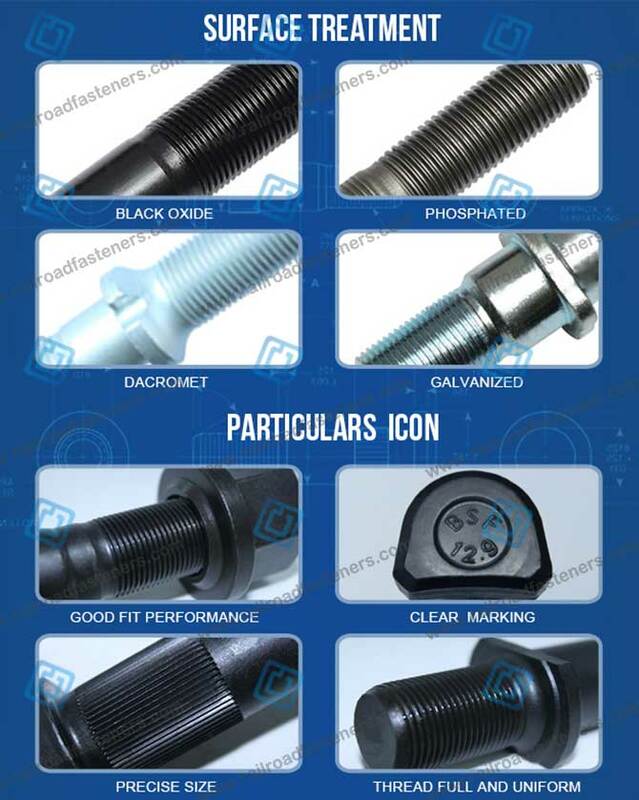 We can customize track bolts according to different national standards, and can also customize with track bolt samples provided by customers. For the surface treatment, we have black oxide, phosphate, dacromet, galvanized and so on. The perfect detail is reflected in every part of the rail bolt, good fit performance, clear marking, precise size, thread full and uniform. In AGICO China railway bolts factory, every part of production process has strict technical indicators. Every batch of bolts will be sampled and monitored during the completion of each section. Once the unqualified product is found, all batches of the product will be monitored, and the defective products will be eliminated to ensure that the products are completely qualified. The track bolt packing adopts carton packing and plastic film encapsulation. 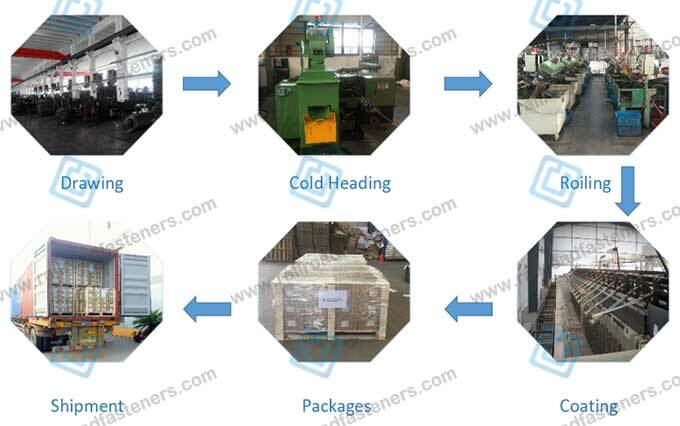 According to customer transport needs, packaging with a small carton sub-packaging, multi-box stack, a unified package of plastic film, play a waterproof effect, and finally increase the external wood fixed. Transportation can be based on customer distance selection of land, sea, air and other different ways to ensure the bolts safe delivery to the customers. Almost 70% of the track bolts that AGICO produced are sold to overseas markets. 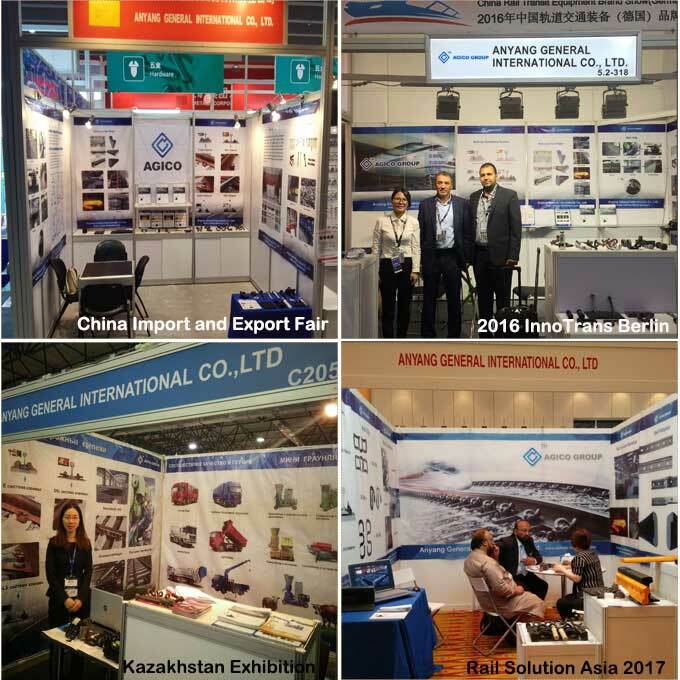 Over the years, AGICO appeared in the world's major railway equipment exhibition, has been favored by customers all over the world. Get track bolt free sample from us, leave quite message now!